Great location! walking distance to supermarket, coffee shops, pharmacies and landmarks! The apartment was clean, comfortable and good kitchen. Great for families!! This studio apartment is a good size, extremely clean with a comfortable bed. I was greeted by the hosts who were waiting for me, let me in and ensured that I knew where things were. They even provided a bottle of cold water - very welcome on a hot day. The location was great - a nice neighborhood with shops, cafes and restaurants and a short trip to Oxford Street. Great value for money. Location was great. Close to Hyde Park, and Oxford Road. The owner very friendly and thanks to the owner for helping us to store our luggage after we check out. 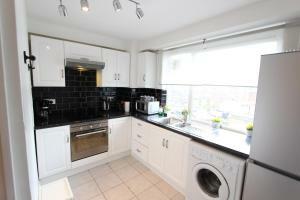 Very good location in a nice neighborhood near Oxford Street and Hyde Park. Nice warm apartment as it was very cold outside. 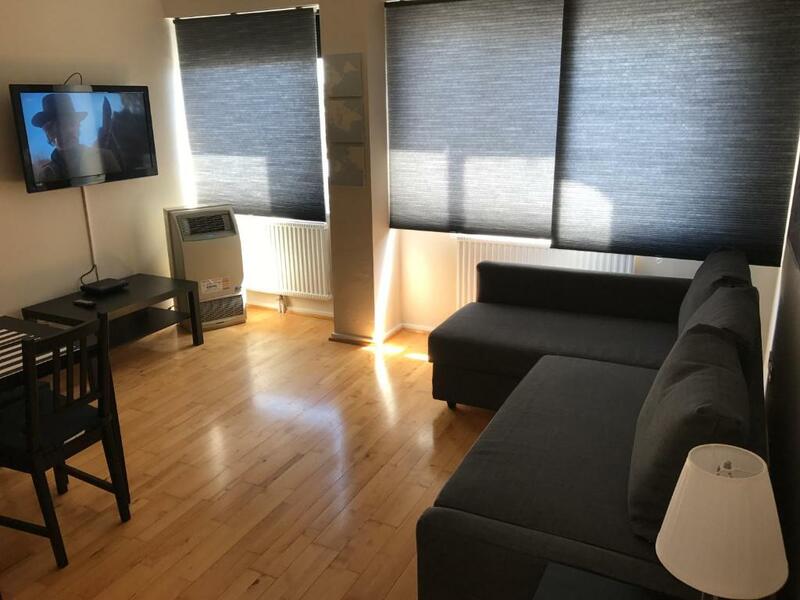 Stay-In Apartments - Marble Arch This rating is a reflection of how the property compares to the industry standard when it comes to price, facilities and services available. It's based on a self-evaluation by the property. Use this rating to help choose your stay! 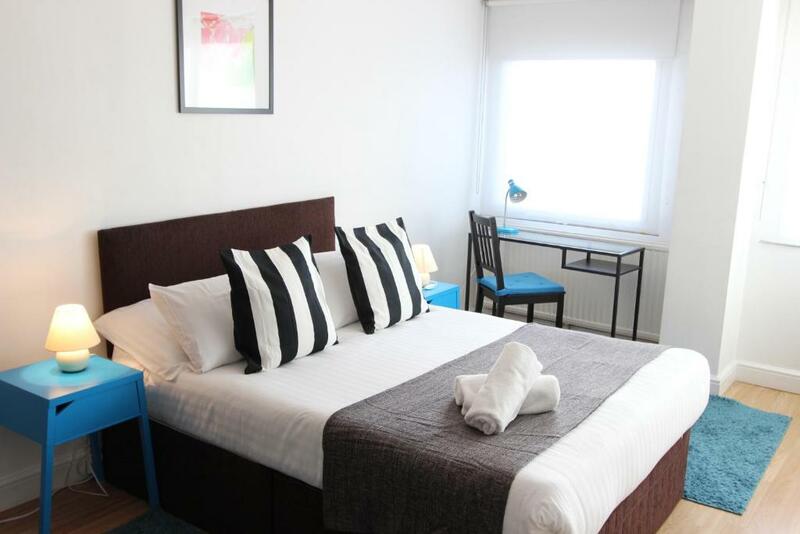 One of our top picks in London.Stay-in Apartments - Marble Arch is a self-catering property in the Marble Arch Area, a 12-minute walk from Oxford Street and Hyde Park. There is free Wi-Fi access in all areas of the property. Each of Stay-In’s stylish apartments features beds with orthopedic mattresses and living rooms with sofa beds, flat-screen TVs and DVD players. Including a kitchen with an oven, a dishwasher, a microwave and a fridge, the apartments also have air conditioning and central heating. 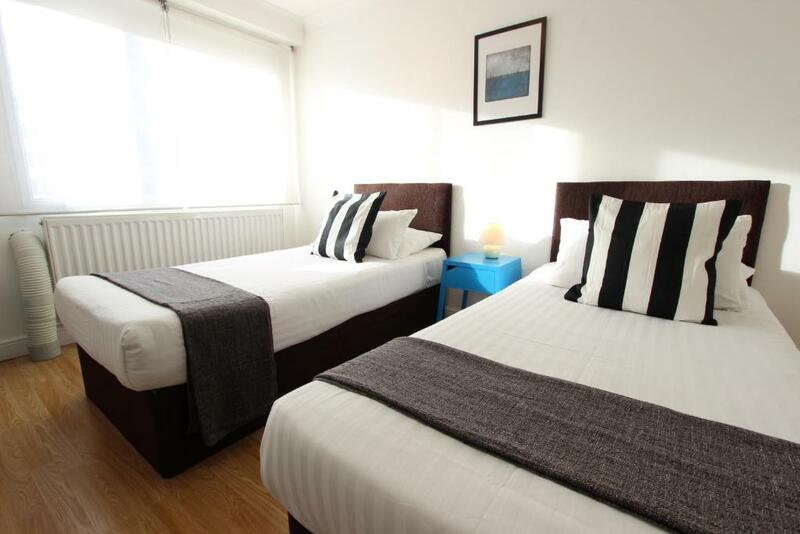 Stay-in Apartments - Marble Arch provides an airport shuttle service and luggage storage. Buckingham Palace and Piccadilly Circus can all be reached within 20 minutes by public transportation, as well as the Natural History Museum, Victoria & Albert Museum and the Science Museum. Edgware Road station (subway) is a 2-minute walk away. Marble Arch Tube Station (subway) and London Paddington Train Station can be reached in 11 minutes by foot. Heathrow Airport is located 16 miles away, with express train services running from London Paddington Train Station. 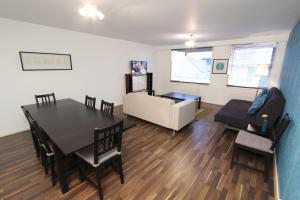 뀐 Located in the real heart of London, this property has an excellent location score of 8.0! 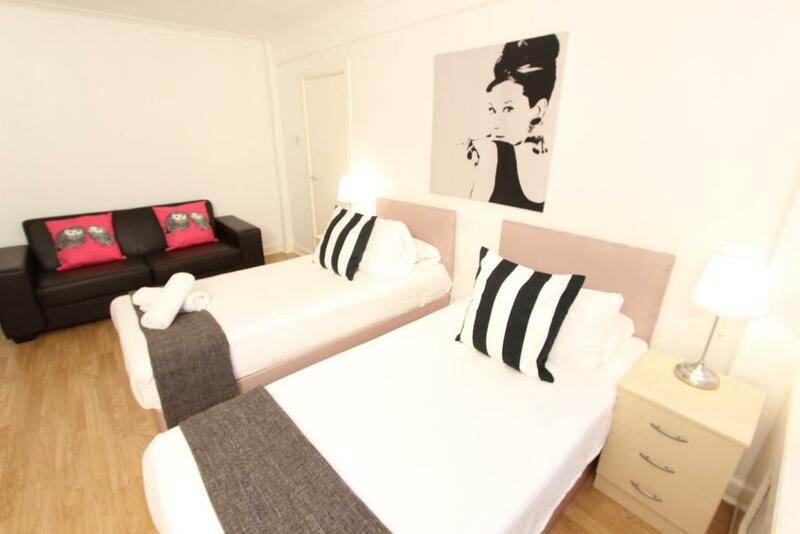 When would you like to stay at Stay-In Apartments - Marble Arch? This apartment features a large living area with a flat-screen TV, a DVD player, free Wi-Fi, and a twice-weekly maid service. The modern bathroom has complimentary toiletries, and there is a full kitchen, a washing machine, and a refrigerator. Ironing facilities and a hairdryer are included. 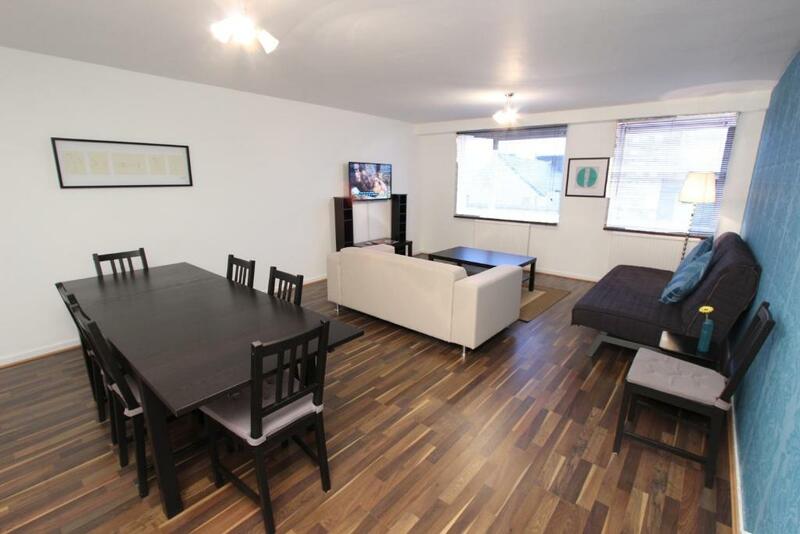 This apartment includes a separate double room with a double bed, and a lounge with a double sofa bed. Cleaning service is available on the 4th and 7th days of the stay. This apartment features a large living area with a flat-screen TV with a DVD player, free Wi-Fi, and a twice-weekly maid service. The modern bathroom with a shower has complimentary toiletries, and there is a full kitchen, a washing machine, and a refrigerator. Ironing facilities and a hairdryer are also included. This apartment features a large living area with a flat-screen TV, satellite TV channels, free WiFi, and a twice-weekly maid service. Each bedroom has a television. There is one bathroom. The modern bathroom has complimentary toiletries, and there is a fully equipped kitchen, a washing machine, refrigerator, dishwasher. Ironing facilities and a hairdryer are also included. This apartment features a kitchenette, private entrance and washing machine. House Rules Stay-In Apartments - Marble Arch takes special requests – add in the next step! Stay-In Apartments - Marble Arch accepts these cards and reserves the right to temporarily hold an amount prior to arrival. Stay-In Apartments may charge a refundable security deposit upon booking. The property will contact guests directly with details. The deposit is fully refundable upon check-out and subject to a damage inspection of the accommodations. Guests are required to provide a valid, government issued photo identification and the card used for the reservation. Once you have sent this, you will then receive an email from Stay-In Apartments with important arrival and access information. If you expect to arrive outside reception opening hours, please inform Stay-in Apartments - Marble Arch in advance. An extra charge may apply for late check-in. Please note that parties are not permitted in the apartments and penalties will apply to guests breaking this rule. Stay-In Apartments expects the apartments to be left in the same condition ‘as found’. Any additional cleaning required will result in charges. Please inform Stay-In Apartments - Marble Arch of your expected arrival time in advance. You can use the Special Requests box when booking, or contact the property directly using the contact details in your confirmation. We had to pay three Pounds each luggage to leave it in the morning of last day ,to Pick up it later at 330 pm .i never had to pay to leave my luggage for few hours in any place i have been. We can not make contact by phone. We want to live luggages at the reception. But they didn't pick up the phone. Carlos was very friendly. But it was very hard to reach the owner by phone. The electronic key stopped working on Sunday morning, so we had a hard time to get back into the apartment. The host wast able to fix it or give us new keys. That ruins our vacation in the second half. always one had to wait in the apartment. We called and emailed the host several time, he promised to fix it but simply don't even called back. The location! Easily accessible and person in charge was really helpful.